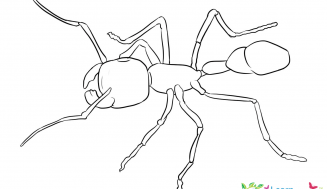 Weaver ants represent a bimodal division (Two clear worker classes, including the major and the minor) like all Oecophylla workers. They have no overlap in dimensions. 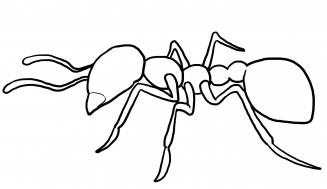 The Length of major ants lies in between 8 mm and 10 mm while the length of minor ants is half of that of major ants. However, these genus display some common features, like an extended primary funicular segment, abdominal segment number three having a helium at a mean height, presence of propodeal lobes. Further, the Gaster has the capability to reflect over mesosoma. 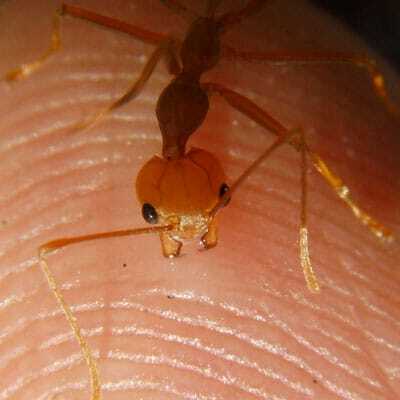 The claws of male weaver ants are vestigial pretarsal types. 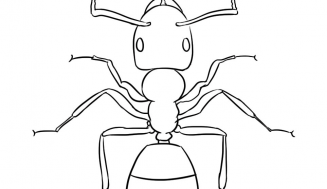 The responsibilities of weaver ants are divided according to their size. Most of the worker ants defend, search for food, expand and maintain their colony. The minor ants stay in their nest and look after the eggs and offsprings. They scale insects near to their nest and milk them for honeydew. The skin color of these weaver ants varies with the species and range from red to yellow- brown. Oecophylla smaragdina, which are found mostly in Australia, generally have a bright green color gaster.Oecophylla weaver ant species, generally leaves on land and the worker ants of this species protect their nest from intruders and attackers. Due to their violent nature, farmers of southern Asia use them as a biocontrol natural agent against the pests that afflict farms. 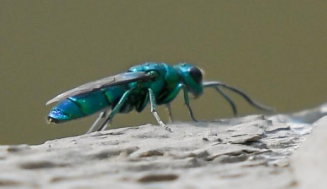 These species do not have an effective and functional sting. However, they can cause a painful bite and spray venom (formic acid) on the bite wound, which causes discomfort. The colonies of weaver ant are created by mating queen ants. These mated queens lay eggs on leaves and nourish their brood until they turn into adult ants. The worker ants then create a new nest by weaving the leaves and help the new brood. The new nests are constructed in tandem with the increased ant population. The growth and productivity of the colony also increase significantly. 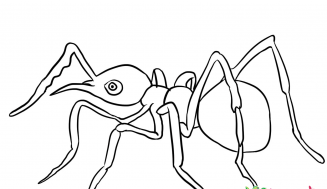 The worker weaver ants perform their duty for their colony, and that includes nest construction, defense against intruders and foraging .They use their tactile signals and chemicals for mutual communication. 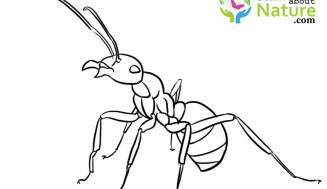 The modulation, interaction and exchange of messages of weaver ant workers are conducted by their signals. This signal is mainly used while defending their colonies and foraging. They show pheromone trails which recruit another worker ant to the food source. Patrols also display this behavior to recruit other workers in their fight against intruders. They use chemical and tactile signal for their communication. Tactile communication includes signals that include body shaking, stimulate activity and attenuation in receiving signals. This multimodal conveying in weaver ant species contributes to self organization of their colony. Similar to other ant species, Oecophylla weaving ant workers also display their social characteristics in their recruitment process. One worker ant will carry another worker ant in its mandibles and transfer it to the location that is demanding attention. Weaver ants display their cooperative behavior while constructing their nest. They build their nest on trees and the size of nests, by weaving the leaves, can range from a human head to a clenched fist. They use a white paperish substance to stick the leaves together firmly. The most exciting thing in their nest construction is that the size of their nest is broader than the size of a human head. They place the weaved leaves in any direction of their choice. This involves a greater strength and force. Therefore, many ant workers join together to place the leaves. They stand side by side and hold the leaves. 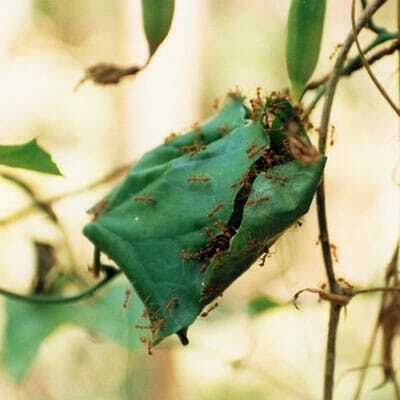 Some ants hold the leaves while other ant work inside the leaves to glue them. 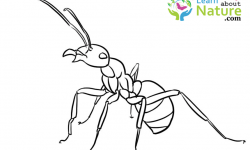 The unique capability of these weaver ant species of designing their nest has contributed a lot a their ecological achievement. The first step in creating a nest involves collection of leaves. The number of worker ant that join the nest construction depends upon the size of the Colony. A complex chain of ants, working in a unified effort, drag the large leaves to create the nest. When the leaves are put together, other ants of this group retrieve their larvae from the old nest using their tall mandibles. These ants manipulate and hold the larvae in such a way that they excrete silk. The shape of their nest is generally elliptical and their size can range from a simple small bent leaf to a large nest containing a multitude of leaves joined together. The overall length of the nest can reach up to half a meter. The time period required to build a single nest depends on the size of the leaves and the type of the leaves. However, a big house can be created within a day. Though the nests of the weaver ants are waterproof and strong, still the worker ants of this species continuously built new nests. Big colonies of Weaver ants consume food in large quantities. To fulfill their requirements, Oecophylla weaver ant workers forage for a large number of small insects or arthropods that wander in the vicinity of their nest. 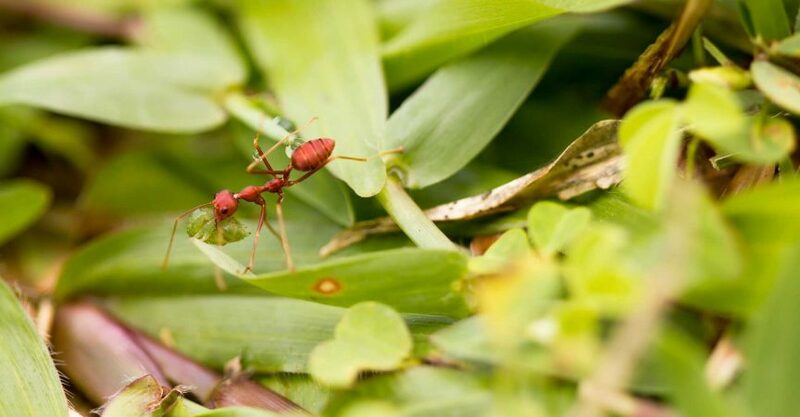 Worker ants not only consume these small insects themselves but they also nourish their brood with the same protein source. 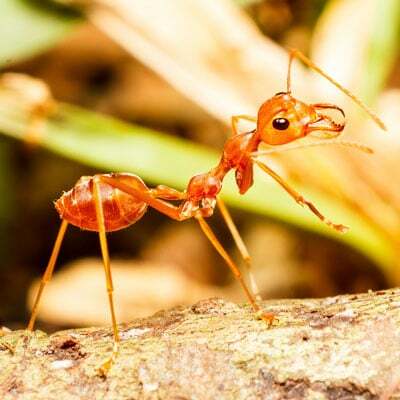 Weaver ants are harmful ants. Tree harboring Oecophylla weaver ants kill the insects and they also keep a check on garden insects. This species of Oecophylla have been used as a natural biological control agent in Southeast Asian and Chinese citrus orchards since 400 AD. These weaver ants are can be consumed by humans as they are highly rich in fatty acid and protein. They are also used to boost plant growth. Generally, ant larvae are mostly edible. 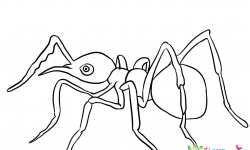 A few countries harvest weaver ant in large quantities to increase their social- economic endeavors. One of those countries is Thailand, where the cost of these ants is double that of high quality beef.